In contrast to preference studies in which people rate landscape quality, physical landscape studies involve the description, analysis and sometimes quantification of the physical characteristics of the landscape without reference to human perception. Because historically they have been relatively easier to undertake, there have been more than twice as many physical studies in Australia as there have been preference studies. However with the advent of the Internet and other technologies to assist with preference studies, the time and resource savings are now much less significant. The methods of physical studies varies widely from study to study, however the key steps are depicted by Figure 1. The boxes with dotted lines are optional, but all studies carry out a definition and mapping of the components or indicators they have chosen to represent scenic quality. This may be preceded by the definition and mapping of landscape character units which are areas of similar landscape characteristics. In rare instances, the components or indicators are tested through being presented to the community for their reaction. Following the definition and mapping of scenic quality indicators, some form of evaluation of the results may be undertaken. This may involve the application of weightings (e.g. -2 to +2), a judgement about thresholds (e.g. 70 pts + = high scenic quality), adding the scores of the components, making a judgement about what is low, moderate and high scenic quality, or making some cross-comparisons with other areas of low, moderate and high scenic quality area. The resulting classification of scenic quality is usually coarse, typically low, moderate, and high categories. This indicates the vagueness and uncertainties associated with the selection of components and with the application of weightings, thresholds and judgements about what constitutes different levels of scenic quality. The components of the landscape used by physical studies totaled around 70. The main components are summarized by Table 1 which indicates that the core components were land form, land cover and land use, followed by waterforms. The formalist quality of contrasts was used in 12 studies and other formalist qualities such as harmony and diversity occurred in six studies. Miscellaneous features: sensitivity, familiarity, ownership, threats, observer position, motion, capacity to absorb change. The mean number of components in the physical studies was six but they ranged up to 14. A few early studies (e.g. National Trust, 1972, 1977) made a judgement of scenic quality without identifying any components, an approach described by Fabos and McGregor (1979) as “elitist judgement”. With a total of around 70 separate components used in physical studies, it is the very diversity of features which were assessed in an attempt to evaluate scenic quality that raises doubts about the validity of such studies. Each researcher considered that their set of components would provide the measure of scenic quality. The studies assumed that scenic quality was defined by the components selected; measure the components and scenic quality would result. Few studies attempted to justify their selection, rather a description was provided or an assertion made that their selection was correct. The National Trust in New South Wales initiated some of the earliest landscape studies in Australia, using the physical approach to evaluate landscape. Setchell studied the Sydney region in 1968 to identify Scenic Preserves but provided no explanation of how the designation was undertaken. National Trust studies in 1972 and 1976 mapped the physical characteristics – land form, land cover, land use, hydrology etc and then relied on a consensus of the survey team to identify Scenic Protection Areas & Scenic Landscapes. Figure 2 illustrates Wright’s scoring of the components. The scoring was carried out by three teams of two who discussed their scores to ensure consistency. Each team scored ten test landscapes and the scores compared. No significant differences were found. Radford and Bartlett (1977) conducted a visual analysis of the Lower Hunter Region using a method similar to that of Wright (1974). The approach divided the region into identifiable visual areas based on water catchments. Maps graded various comp-onents in the area and were overlaid to produce a composite score (Figure 3). On the Gold Coast hinterland, Simson (1977) applied a composite model involving four components: majesty (awe and wonderment), serendipity (surprises), artistic quality (formalist attributes) and ‘atmosphere’ (serenity and tranquillity) as components of scenic quality (Figure 4). Majesty was measured from maps of land systems using as indicators, relative relief and visibility, while ruggedness and vegetation richness were used as indicators of serendipity. Artistic quality and atmosphere were judged subjectively, with artistic quality judged by color and form, and atmosphere judged by pleasantness and despoliation. Addition of the results for each of the four components yielded the scenic quality score. To test the results, a semantic differential scale was devised for each of the components and color slides assessed by participants. Although the rank order of the scores for different land systems from this assessment were consistent with those derived from the objective measures, there was a wide variation in the results. Among the more comprehensive studies was an early study by Brown, Itami and King (1979) of the Upper Yarra Valley and Dandenong Ranges. In the absence of community preferences on which to base their assessments, the method illustrates the complexity that researchers indulged in to avoid appearing subjective in their method. Brown et al assessed scenic resource values using a complex six step process (Figure 5). Brown et al used a theoretical model by Kaplan & Wendt (1972) to define landscape dimensions (Table 2). The landscape dimensions were derived by Brown et al from maps, it being found that while some could be measured precisely, e.g. slope, relief and landform contrast, others such as spatial diversity had to be based on judgements. Further judgements were made in deriving weightings for the landscape dimensions. These were based on findings from the literature (Anderson, Zube & Pitt, 1976; Kaplan & Wendt, 1972; and Fabos, Greene & Joyner, 1978) (Table 3). Brown et al derived figures for each component involving several steps, illustrated by the example of landform unit quality. For each landform unit (e.g. floodplains, mountains) a relief/slope figure was defined: e.g. floodplain 2-15 m/0-5%, mountain 60-900m/15-45%. The list was arranged in rank order of lowest/relief & slope to highest relief & steepness. Each class was given a rating from 0 to 100 and multiplied by 0.67 (67%). This was undertaken for each dimension. Figures for each dimension were then combined by the above equation; e.g. landform quality combined slope/relief, spatial diversity/landform edge. The results ranged from 1 to 100 and these were then placed in rank order from 1 to 90. The same process was followed for landcover quality. The relative weights of the landform and landcover dimensions are shown by Table 4. VISUAL LANDSCAPE SENSITIVITY = (vegetation height & density X importance) + (slope class X importance) + (agricultural capability class X importance). The results were mapped. A further map was produced for cultural features. Brown et al‘s map of landscape management units was produced by combining the four classes of scenic resource value and the four classes of visual landscape sensitivity. The landscape management units were grouped by mountains, hills and valleys with four classes in each. Landscape management policies were derived for each of the 16 landscape management units. The statement of policy estimated the impact of potential land uses on scenic resource values (land compatibility evaluation) and on the physical resource base (e.g. erosion from building on steep slopes). The compatibility of potential land uses to existing uses was grouped into ten classes. This complex process relied on many judgements concerning its components. An advantage of the process was that by varying the assumptions, different results could be derived and so a range of scenarios could be examined. The end result however was only a five level grading of scenic resources, although it also provided maps of visual landscape sensitivity. The example of Brown et al is provided to illustrate that in the absence of community preferences, physical studies sometimes adopt staggering complexity in their method in order to defend their objectivity and rigor. Like the example of Kane below, it is as though the researchers were carried away with the logic of their analysis as they earnestly sought ways to ground their method in scientific rigor and objectivity. In the process, however the simplicity of scenic quality was lost or at least obscured. The linear nature of rivers presents special challenges due to their narrowness and wide range of environments. These studies classified the river into sections, analyzed the physical content of the riverscapes, and derived ratings based on their content. Chenoweth (1997) developed a Coastal Landscape Assessment (CLA) method to assess the scenic quality of the Queensland coast. He examined cultural themes and associations present in the area, and defined landscape setting units. Using a five point scale he rated scenic quality based on the following indicators: naturalness, pattern, built form, landform, vegetation & wildlife, water, shoreline. He identified 58 landscape character areas and evaluated the sensitivity of landscape settings covering scenic integrity, positive/negative elements & cultural heritage sites. He used focus group workshops to review landscape values and cultural significance. It is one of the few studies which sought to verify the landscape values with the community. The study produced maps of landscape settings ranked by scenic significance – State, regional, local. Based on Chenoweth’s method, EDAW (1996) used a three stage process. They identified coastal viewsheds and landforms, identified coastal landscapes of similar characteristics and assessed scenic amenity. They mapped scenic quality in four levels from highly outstanding through to common. In the most recent study of the coast, Planisphere (2005) mapped distinctive features of the Victorian coast and identified significant landscape types. The local community was provided with a questionnaire and disposable cameras to provide an input in the determination of landscape significance. Mendel & Kirkpatrick (1999) used a novel means of determining the visually aesthetic significance of areas. They collected nearly 400 photographs of natural scenes in Tasmania covering three historic periods from 1916 to 1992 and analyzed the abundance of mountains, lakes, coast, waterfalls and caves. The relative weights of these components varied little over the three periods. Mountains scored 12, lakes and coast 6, waterfalls 2.5, and caves 1. Vegetation diversity was a difficult feature to assess from the photographs. Using a 10 km by 10 km grid, they scored the presence of these components in each cell and applied the weights of the components. From this they measured change over the time periods. They found that the representation of these scenic components decreased progressively in National parks over the periods with the exception of coasts which increased. In their early years, National Parks concentrated on high scenic quality areas whereas in later years the emphasis was on wilderness and biodiversity. In 2004, consultants carried out a pilot project called a Visual Management System in the Tweed region in northern NSW (URS Asia Pacific, 2004). This was directed at integrating visual resources into land use planning decisions and was essentially a physical landscape study. Anderson, T., E.H. Zube, & W.P. MacConnell, 1976, Predicting scenic resource values, in: Zube, E.H. [Ed], 1976. p 6 – 69. Anson, Y.C., Sweatman, C. and Sandford, M., 1987. A Scenic Assessment of Victoria’s Rivers. Land Conservation Council, Melbourne. Appleton, J., 1975. The Experience of Landscape. John Wiley, London. Bartlett, R., and Llewellyn, J., 1989. Murray River Landscape Assessment: Working Paper. Dept. of Planning, Sydney. Browne, G. 1987. Jervis Bay and Environs Visual Assessment. Incorporating a review of the identification of the places of National Estate significance in Jervis Bay and its environs. Australian Heritage Commission. Brown, T., Itami, R. and King, R., 1979. Landscape Principles Study for the Upper Yarra Valley and Dandenong Ranges, Vol 2. Procedures for Landscape Assessment and Management. Upper Yarra Valley and Dandenong Ranges Authority. Melbourne. Champion, R. Ed, 1974. Westerport Region Conservation Survey. Conservation Council of Victoria. Report for Western Port Regional Planning Authority, Melbourne. Chenoweth EPLA, Catherine Brouwer Landscape Architects, Brannock Humphreys Town Planning Consultants, and Pawsey & Prowse, 1997. Coastal Landscapes of Queensland. Dept of Environment and Heritage, Coastal Management Branch. Brisbane. Chenoweth, A., 2002. Capricorn Coast Landscape Study, Livingstone Shire Council. Correy, A., 1981. The Landscape of Botany Bay: A Visual Assessment Method, Sydney. In Williamson D.N. and Bishop, I., 1981. Landscape Planning and Management Workshop: Melbourne, 1980. EDAW (Aust), 1996. A View of the Coast: An overview of the scenic resources of the Queensland coast. Queensland. Dept of Environment, Coastal Management Branch. Brisbane. Edwards, G. 1987. 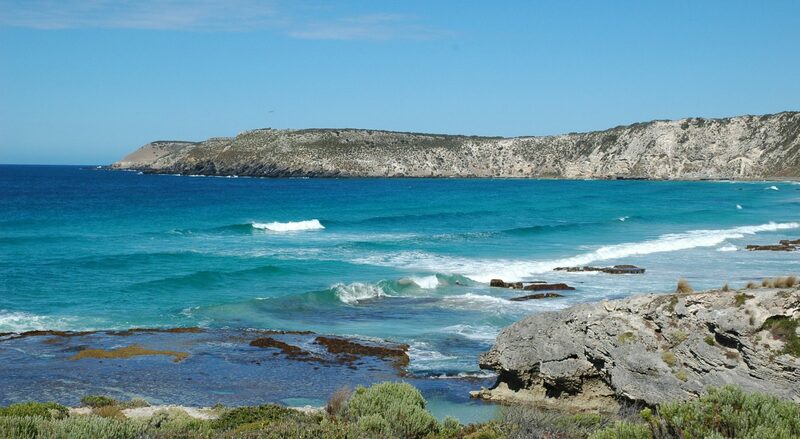 Kangaroo Island Coast Protection District Study Report, Coastal Management Branch. Dept for Environment and Planning, Adelaide. Fabos, J.G., Brown, T.J., and Longacre, R.E., 1979. Landscape and Townscape Study Method and Case Study: Bright. Centre for Environmental Studies, University of Melbourne. Melbourne. Fabos, J.G., C.M. Greene & S.A. Joyner, 1978. The METLAND landscape planning process: Composite landscape assessment, alternative land formulation and plan evaluation. Mass. Agric. Expt. Sta. Res. Bull. Fabos, J.G. and McGregor, A., 1979. A Position Paper and Review of Methods for Assessment of Visual/Aesthetic Landscape Qualities. Centre for Environmental Studies, University of Melbourne. Melbourne.Heyligers, P.C., 1981. The Coorong and Beyond: an exploratory study of the coastal landscapes of South Australia’s south east. CSIRO Inst. of Earth Res., Division of Land Use Research, Tech. Memo 81/3. Canberra. Kaplan, S. and Wendt, J.S., 1972. Preference and the visual environment: complexity and some alternatives, In Environmental Design: Research and Practice. Proceedings of EDRA 3. Linton, D.L., 1968. The assessment of scenery as a natural resource. Scottish Geographical Magazine, 84:3, 219 – 238. Mendel, L.C. & Kirkpatrick, J.B. 1999. Assessing temporal changes in the reservation of the natural aesthetic resource using pictorial content analysis and a grid-based scoring system – the example of Tasmania, Australia. Landscape and Urban Planning, 43:4, 181 – 190. National Trust of Australia, NSW, 1972. Hunter 2000: Conservation of Lands and Buildings of Natural, Historical, Scenic, Historical or Recreational Value in the Hunter Region. Sydney. National Trust of Australia, Victoria, 1974. The Preservation of the Mornington Peninsula and Western Port. Report to the Minister for Local Government. Melbourne. National Trust of Australia, NSW, 1976. Illawarra Region Landscape Survey: Requirements for Conservation of Lands of Natural, Historical, Scenic, Historical and Recreational Value. Sydney. National Trust of Australia, Victoria, 1977. Landscape Planning and Conservation in North-East Victoria, Melbourne. Planisphere, 2005. Coastal Spaces Landscape Assessment Study. Dept of Sustainabiliy and Environment, Melbourne. Seddon, G., Calder, W.B., and Davis, M., 1974. A Landscape Assessment of the Southern Mornington Peninsula, Victoria. A Report to the Western Port Regional Planning Authority. Centre for Environmental Studies, University of Melbourne, Publication No. 2. Melbourne. Scenic Spectrums, 1986. A Preliminary Scenic Assessment Procedure for Australia’s River Landscapes. Victorian National Estate Committee. Social and Ecological Assessment Pty. Ltd. 1984. Environmental implications of increased tourism on Kangaroo Island, South Australia. Report for Touche, Ross Services Pty. Adelaide. Setchell, G.H., 1968. Sydney 2000 – Requirements for Conservation of Natural Areas, Scenic Preservation and Recreation. Conservation and Landscape Committee, National Trust of Australia (NSW). Sydney. Thorvaldson, F., 1981. Macquarie River Visual Quality Analysis. In Williamson D.N. and Bishop, I., 1981. Landscape Planning and Management Workshop: Melbourne, 1980. Tract Consultants, 1977. Coastal Appraisal: South Western Coastal Planning Scheme. Report to Town and Country Planning Board, Victoria. Melbourne. Tract Consultants P/L and Chris Dance Land Design P/L, 1998. Landscape Setting Types for the Victorian Coast. Victorian Coastal Council. URS Asia Pacific, 2004. Visual Resource Management System for NSW Coast (Tweed Pilot). Comprehensive Coastal Assessment, NSW Dept of Planning, Sydney. Wright, G.M., 1974. Appraisal of visual landscape qualities in a region selected for accelerated growth, Landscape Planning, 1, 307 – 327. Zube, E.H., 1976. Studies in Landscape Perception, Institute for Man and Environment, Publication No R-76-1, University of Massachusetts, Amherst.